Loos and Company is excited to announce the hiring of Meghan Buisson as their new Marketing Assistant. In this role, she will be responsible for contributing to the overall marketing strategy as the company looks to expand their presence in stainless steel wire, cable, and cable assembly markets. Meghan received her undergraduate degree in Communications from Bryant University. She comes to Loos and Company with a strong background in the marketing and communications fields. In her most recent role, she was responsible for developing and maintaining marketing content, monitoring social media, and generating press releases, among other duties. Please join us here at Loos and Company in welcoming our newest team member. 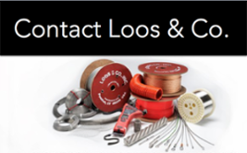 Loos & Co., Inc. has over 50 years of experience in the wire and cable industry and is the world's leading manufacturer of military specification aircraft cable and aircraft cable assemblies. 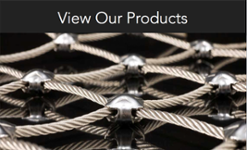 In addition, Loos and Company manufactures medical grade stainless steel wire and cable for leading medical device companies, flight controls for major aircraft manufacturers, wire rope for rigging and hoisting, and specialty brush wire. 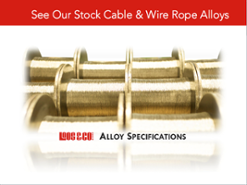 Refer to our website (www.loosco.com) for a complete listing of capabilities, including: Stainless Steel and Specialty Alloy Wire and Wire Products, Aircraft Cable, Wire Rope, and Military and Commercial Cable Assemblies.